Living compassionate, living cruelty-free is possible. By making a choice about what you eat, what you wear or what personal-care and household items you purchase you can show how compassionate you really are. It is very easy, for millions of people around the world have already made that choice. 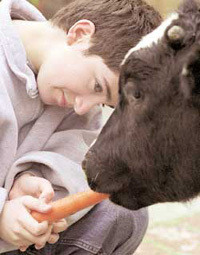 Please, join us and go vegan - for the animals, for the environment and for your health. Make an each day count!